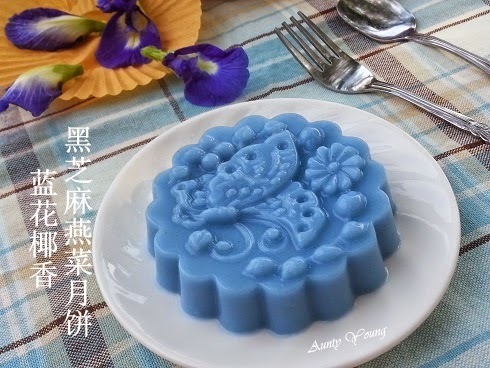 I really like the light blue color formed by the combination of blue-pea and coconut milk. 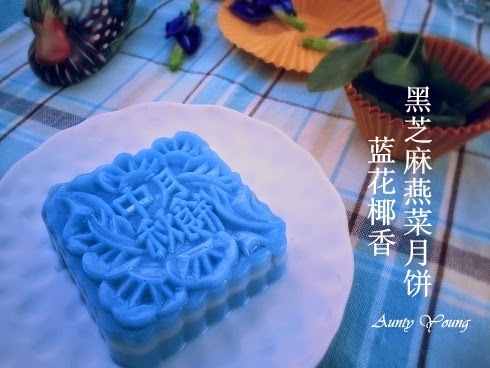 It looks even better on the beautiful pattern of the jelly mooncake. See for yourself how beautiful it is! 1. Add cooked carrot and water into a blender, blend well and sift. Cook with the other ingredients in a pot until it boils. 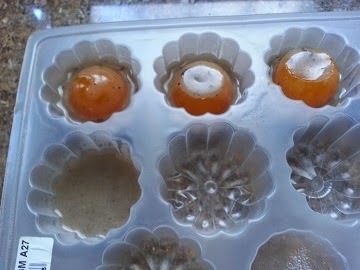 Remove from flame and pour the mixture into a jelly egg yolk mould. Once it has solidified, remove from mould. 1. Boil ingredients (A) in a pot, then add in (B) and mix evenly to form the filling liquid. Remove from flame. 2. Pour a little filling liquid into a small cup/bowl. When it has solidify slightly, add a jelly egg yolk, then pour in more filling batter until it covers the jelly egg yolk. When it has solidified completely, remove from cup/bowl. 1. Boil ingredients (A) in a pot, then scoop out 200ml to maintain its white color. Add in (B) to the remainder to form a blue mixture. Remove from flame and sieve. 2. 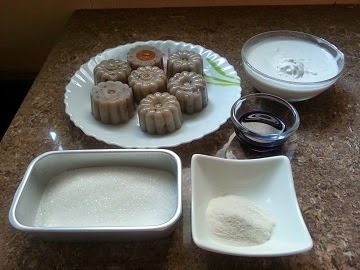 Pour a little blue mixture into the jelly mooncake mould. When it has solidify slightly, pour in a little white mixture and add in a filling. When the white layer has solidified, pour in more blue mixture until it covers the filling. 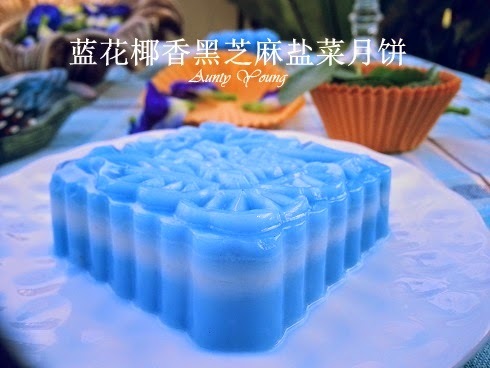 When it has solidified completely, store the jelly mooncake in a fridge. NaNak and my hubby could hardly wait for me to finish taking photos before gobbling up the mooncake and singing its praises! 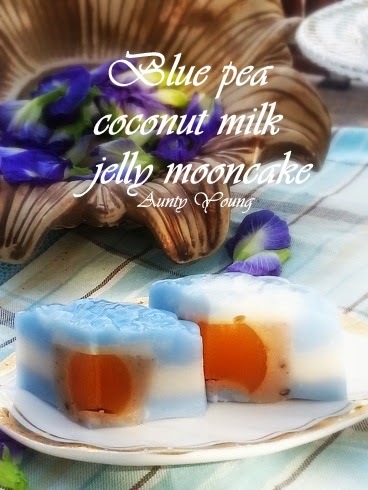 With the current Malaysian weather, who wouldn't want a mouthful of this deliciously cooling jelly? 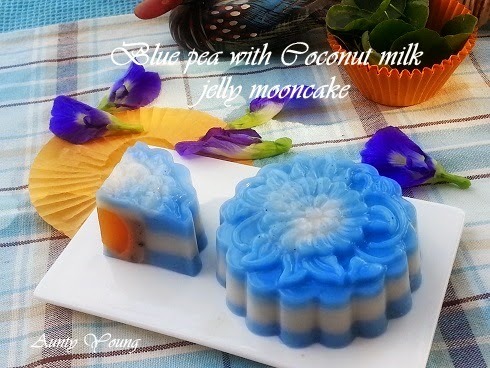 Love the natural pastel blue colour of the jelly mooncake and you make them so beautifully. i always use pumpkin for the yolk, next time i will try yours, using carrot instead. 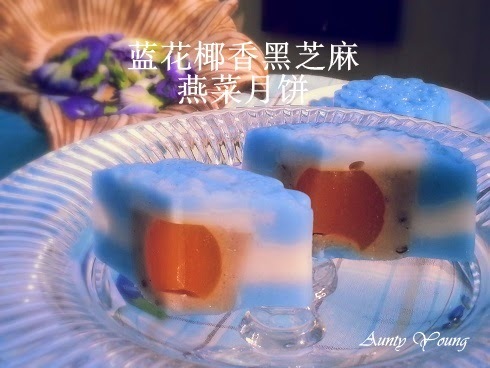 These jelly mooncakes are so lovely! Hi Aunty Young, your blue mooncakes look so pretty and sweet. 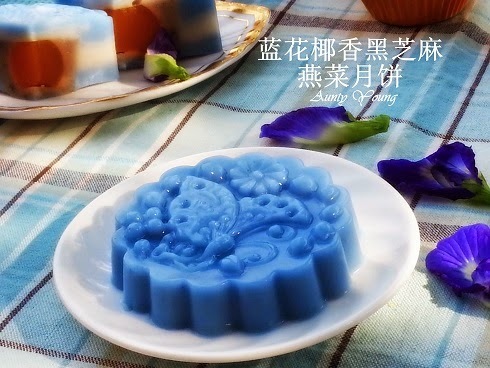 Aunty Young, the blue colour of your jelly mooncake is very beautiful! Really love it! Hi Aunty Young, such lovely jelly mooncakes you have made. Can give some ah? Must need some time to get these done. 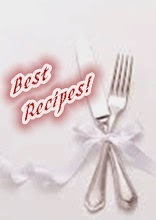 I'll save this recipe and hopefully I can make them one fine day when I have the time to do. i must say that blue ones indeed look very attractive, eye catching and unique too!